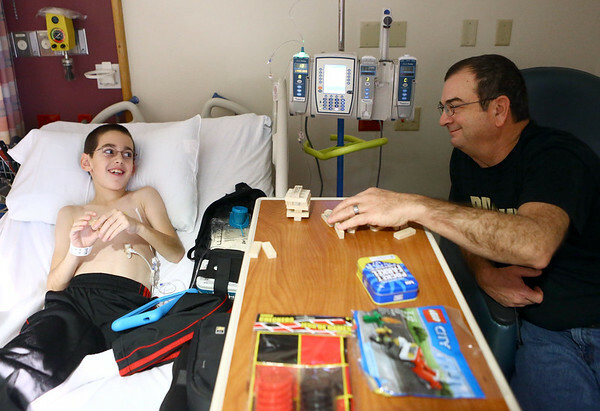 Hayes and his dad Ned Bowman prepare to play Jenga at Riley Hospital for Children in Indianapolis on January 4, 2017 during one of Hayes' monthly infusion appointments. Every month, Hayes and his parents make the trip to Indianapolis for an infusion of antibodies through vein in his chest. Because of a chromosome disorder, Hayes has an immune deficiency and in order to stay healthy, antibodies from people's plasma donations are infused into Hayes' bloodstream.